The weather was gloomy, and with on and off showers the entire day, practice had to be moved indoors. I was initially disappointed by the fact that I wouldn’t be witnessing a full practice, yet as I walked into the school, we were surrounded by a group of excited young girls, asking in anticipation whether Girls Leading Girls would happen today. I was already witnessing the effect of Girls Leading Girls, just in the first few minutes before the program had even started. 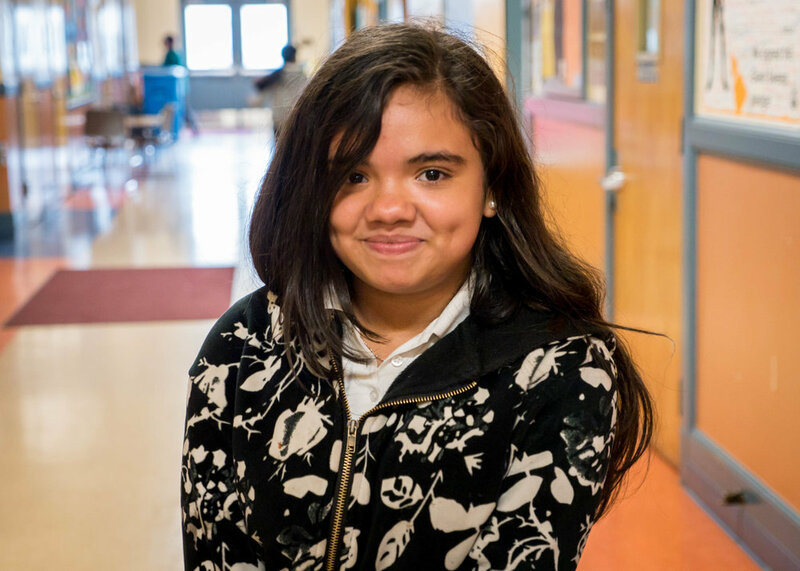 I was tasked with interviewing and taking portraits of the girls; Esmeralda, who was called upon as the first volunteer by her peers, had on a pink bow and a Minnie Mouse shirt with a pink backpack. Her favorite color is pink. She spoke about Girls Leading Girls with a reserved giddiness, enthused in telling me about how she was taught to kick the ball with the inside of her heel as opposed to her laces. In fact, this information was bestowed on me by many of the girls, recalling the lesson clearly. Each girl was courteous and respectful, and smiled while talking about the program. 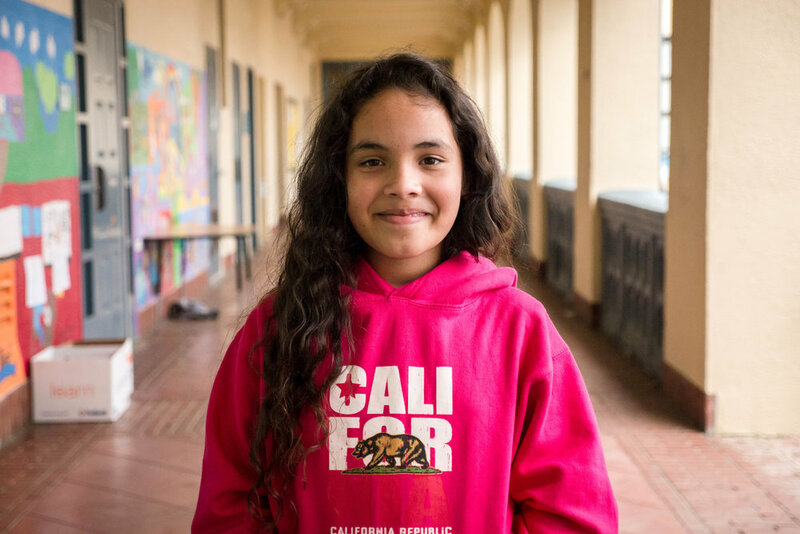 Ashley, who volunteered herself to go second, told me that Girls Leading Girls had taught her friendship and leadership, while Genesis told me that she loved playing with a group of respectful girls. Each girl had positive feedback about the program, and it was easy to tell they enjoyed being there. 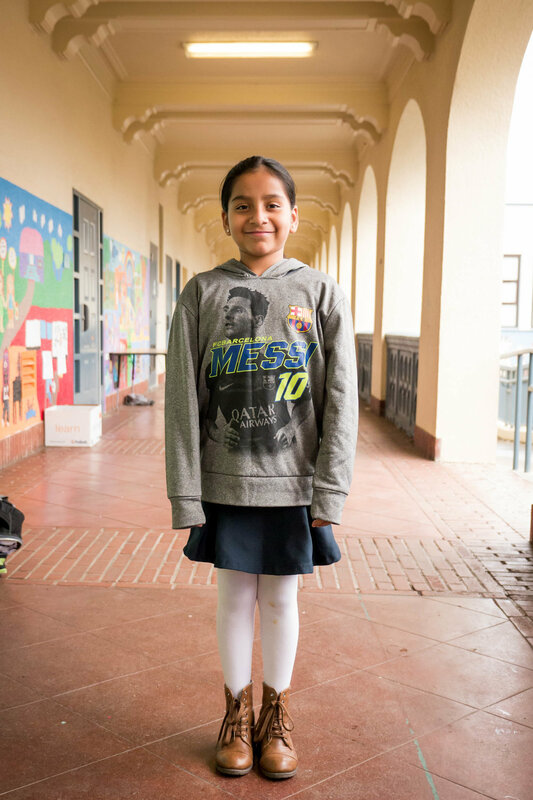 I think the girls’ responses were best summarized by this quote from Clarissa, “My favorite thing about Girls Leading Girls is playing soccer with other girls, playing good and playing safe.” I left the school feeling joyful, knowing that these girls are learning valuable skills that will last them a lifetime.